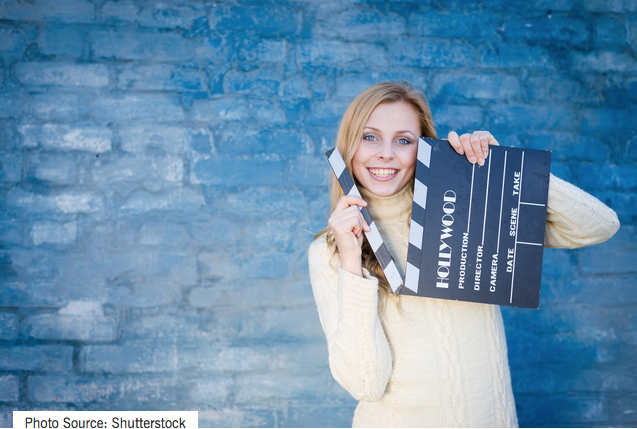 Are You Guilty of These Self-Tape Mistakes? The most common thing I hear when an actor arrives at my studio to record their self-tape audition is “I just got this last night!”, usually delivered with more than a hint of terror in their voice. I completely understand their dismay about the limited time they’ve had to work on the sides. But that’s how the self-tape audition process works. And having more time to prepare isn’t necessarily the way to make your self-tape better. Nor is making sure your hair is perfect or that you’re completely off book. What’s key to success in my experience is avoiding a common mistake actors make in self tapes—and one many aren’t even aware that they’re guilty of. Fortunately it can be easy to fix: The failure to be still. Being still is a big part of being powerful and interesting when you are acting in a tight frame. By being still I mean eliminating these common behaviors, which in the business we call “energy leaks”. If you don’t show that you know how to deal with the requirements of acting in a tight frame, right from the top, casting won’t be inclined to stick around to watch the rest of your audition. It can be, as they say, a deal breaker. Understanding how to act in a tight frame is something you should have been taught by the time you’re auditioning for film/TV projects, but often that is not the case. Since actor training is based so much on theater acting, skills that are specifically tailored for film/TV are often given little or no emphasis in acting classes. You can do those things in theater, often to wonderful effect, but in a tight frame on camera they will create the impression that you are not ready for your closeup, Mr. DeMille. Just as importantly, acting for film/TV does not require being heard in the back row, unlike theater. In fact, just the opposite is true in film/TV. The more “intimate” and soft your voice is, the more attention you will command on screen. The editor of the audition will make sure you are audible, and the amplification of that intimate voice will be even more interesting when it is heard at a normal volume. Obviously, you can’t allow your acting intentions to suffer in the process of becoming more still and more quiet, which is a bit tricky and needs practice. But it’s worth the effort. Record yourself acting in a close up and really notice how much extraneous energy you are exhibiting. Watch this clip of two very successful actors, in a scene wrought with tremendous emotional energy and notice how still they are, and how quietly they speak, pretty much throughout. Once you’ve learned to small up your acting to fit the tight frame, you can have the confidence that a big potential stressor has been eliminated from your prospects, whether you were stressing about it or not.